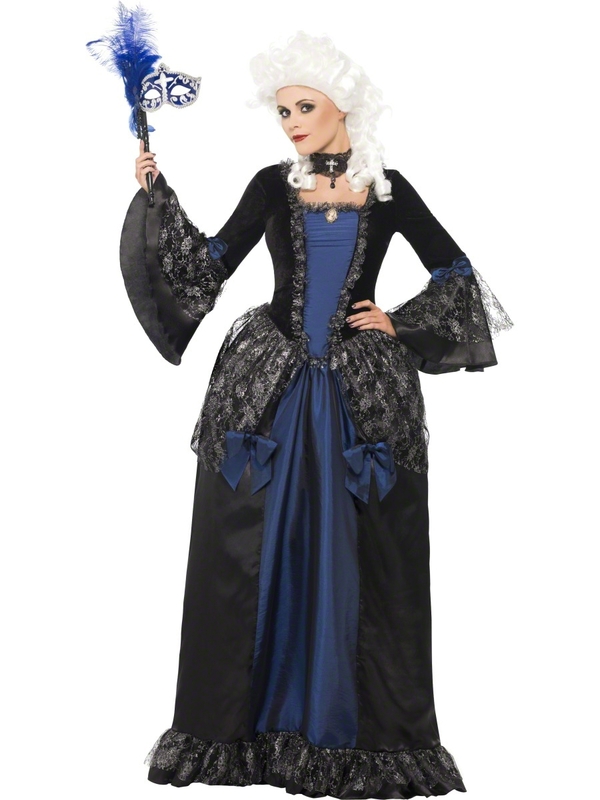 Enter the masquerade ball looking simply divine when you disguise yourself in this ladies Baroque Beauty Masqeurade Costume from our Carnival of the Damned ranged. 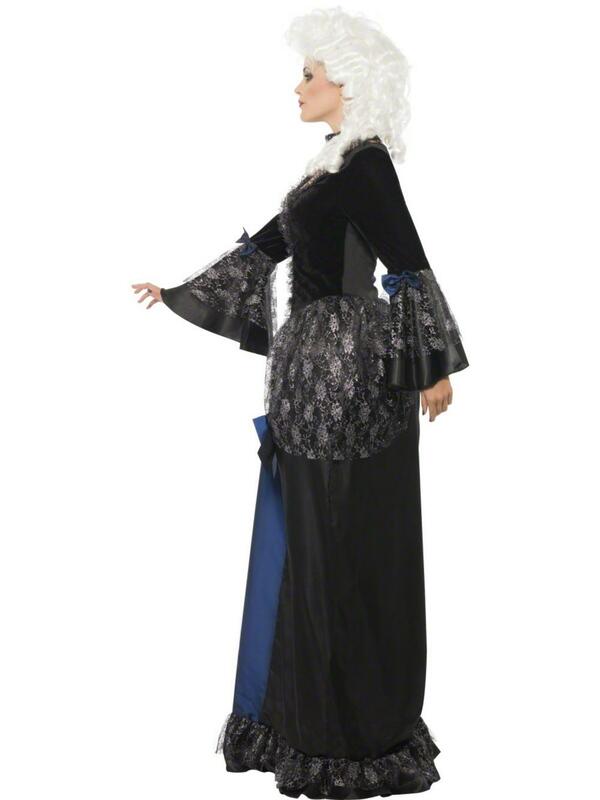 Included is a satin blue and black long sleeved ball gown styled dress decorated with gorgeous silver and black lace peplums, bow accents and gorgeous bell draped sleeves decorated with matching lace fabric which features beautiful bow accents. Why not add our baroque wig for a stunning appearance your fellow party goers will never forget. 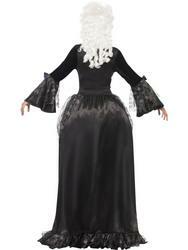 Perfect for wearing to any Victorian fancy dress party and a particular Halloween costume favourite.